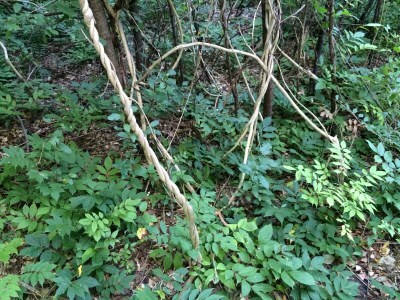 Thickets and forest edges, mostly along roads. First collected in Michigan in 1976 in Emmet Co. A popular cultivated vine, introduced from China, occasionally escaping in North America. 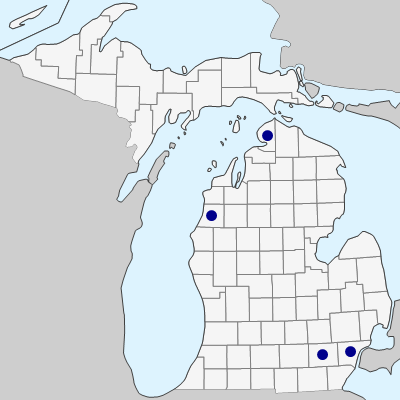 Like W. frutescens, this species has large pendent racemes; the Michigan plants appear to be sterile. The petioles and petiolules average a little longer than in W. frutescens. MICHIGAN FLORA ONLINE. A. A. Reznicek, E. G. Voss, & B. S. Walters. February 2011. University of Michigan. Web. April 18, 2019. https://michiganflora.net/species.aspx?id=1370.